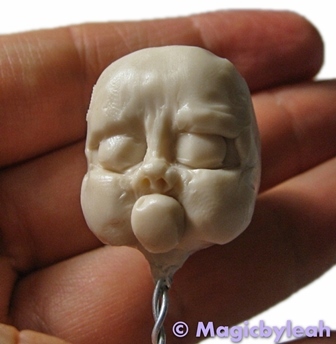 And since the best way to learn is to practice, practice, practice, I’m starting another polymer clay baby sculpture in the hopes that you, my reader, will be generous enough with your comments and critiques to help me improve. I’m starting this sculpture without a clear idea of the final product. 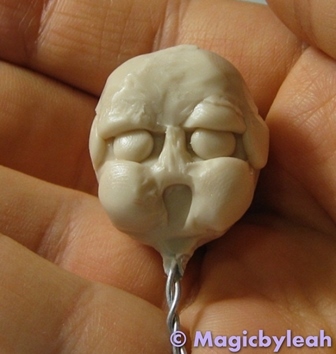 My one goal is to improve my baby-face sculpting skills, particularly the facial feature shape and placement. 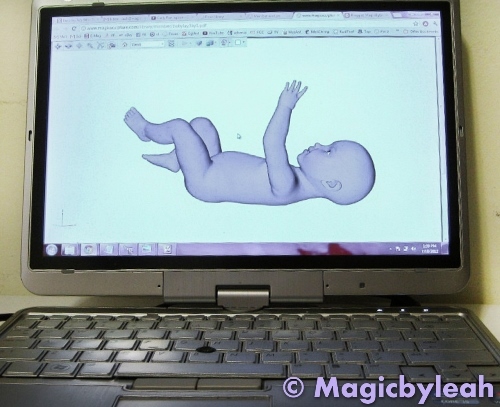 I will be using this baby from the Magic Sculpture site as a reference for general size and placement of body parts. 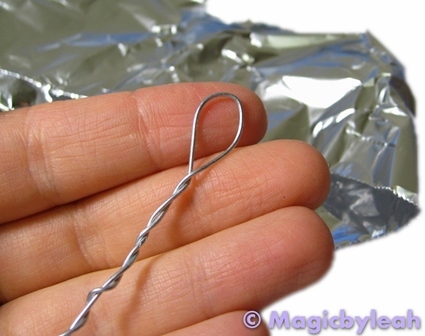 I created a very basic armature of galvanized steel wire covered in aluminum foil. I’m experimenting with a sculpting method I’ve recently discovered – adding small bits of clay to slowly build up the features. 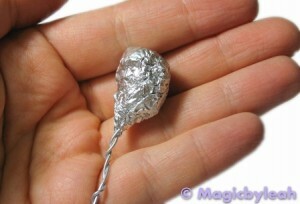 I softened the clay with translucent liquid sculpey (TLS) so that it has more ‘give’. 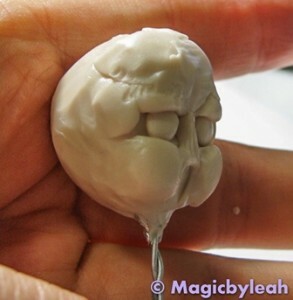 Alas I may have used too much liquid sculpey making the clay very sticky and mushy. Con: The clay is very soft and easy to disfigure. Even the slightest touch results in a massive fingerprint indentation. Pro: I love how easily I can manipulate the soft clay. For a beginner this is a must as there is so much pushing and pulling, trial and error. The soft clay allows me to build up the features and move clay around with just a soft brush stroke. I spent quite a bit of time, perhaps too much time building and placing the facial features. I typically rest half-finished sculptures on my sculpting glass. 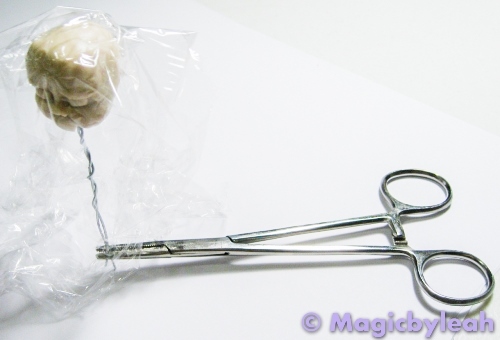 But given the soft and fragile nature of this face, I chose to prop it up with my baking forceps to prevent any squishing or flattening. I covered the face with saran wrap to prevent the accumulation of dust and debris.